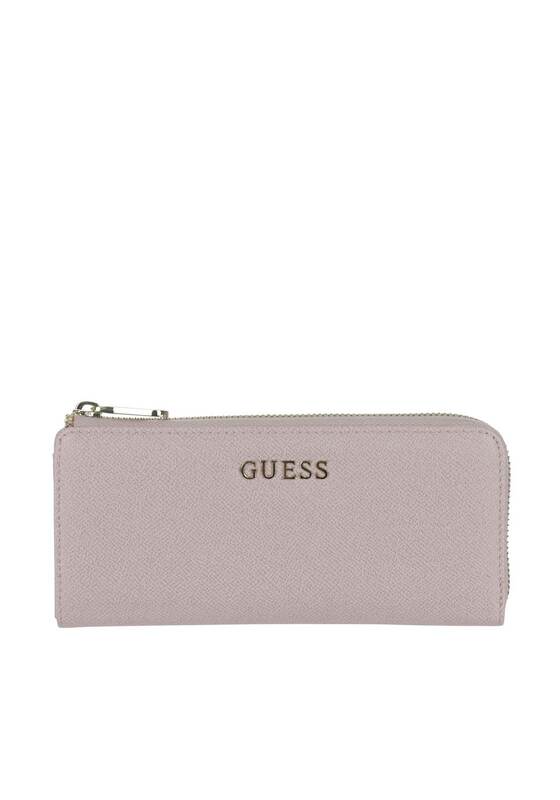 Add a glamorous update to your handbag with this elegant purse from Guess. 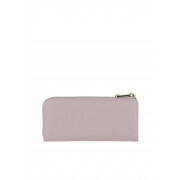 This rose pink purse has a sleek leather look and details its iconic gold toned guess logo branding. 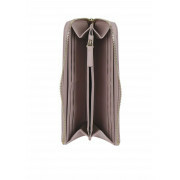 With a gold zip opening that reveals a compact inner compartment that is made up of eight card slots, four note compartments, and a zip compartment for coins.